Hoe hoe grow: Is it The Honey Monster ? Is it The Honey Monster ? I can think of only a few words which can instill fear into a gardener, but one which causes a frisson whenever it raises its head is 'Honey fungus'. It's right up there with 'Japanese Knotweed' and 'Giant Hogweed'! 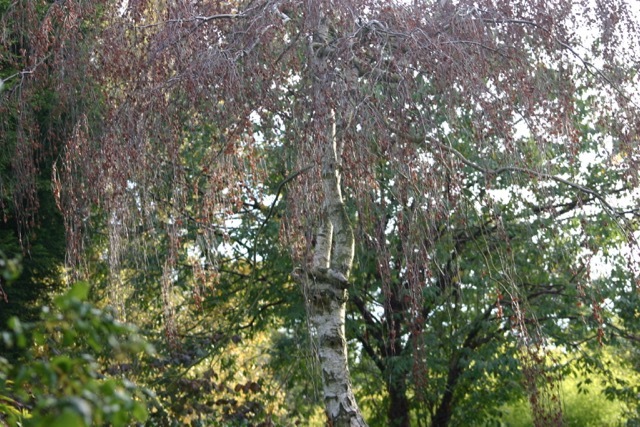 We have had a brush with Honey Fungus, twenty years ago, when a willow sickened and died of it, and as inexperienced gardeners, we feared that it would spread to all the other trees and shrubs and kill them off too. It didn't. Mushrooms and toadstools are magic, in that large clumps seem to appear instantly out of nowhere. A whiff of Autumn mist and there they are. One minute there is a sweep of green lawn and the next, knobbles of toadstools have popped up all over. So, yesterday morning there was, I swear, only one little clump of toadstools, sitting innocently on the grass. I showed my granddaughter and we got the magnifying glass and had a good look at them, and, dear reader, I was not afraid. This morning I found that the knobbles had multiplied throughout the night in a rather sinister way. When I looked at the pattern of the groupings I realised that they ran along the line of the roots of the dead weeping silver birch. 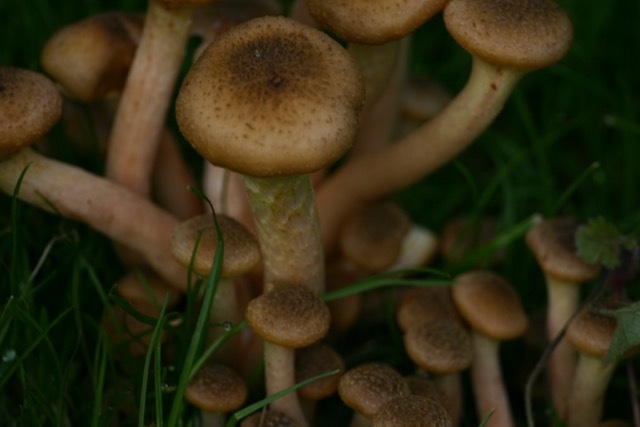 Could it be the dreaded Honey Fungus? 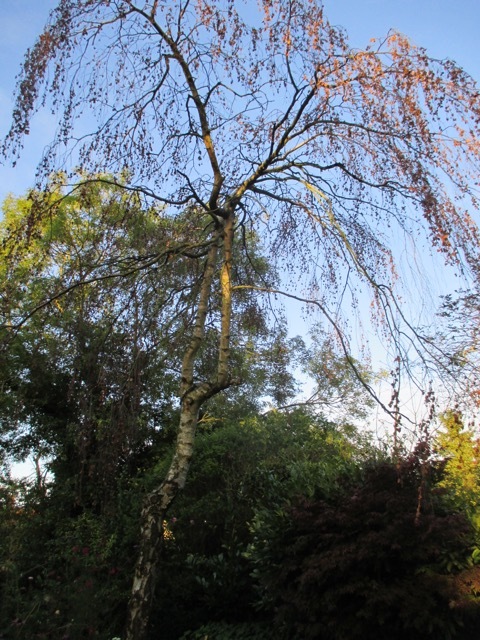 I have posted about the slow demise of our weeping birch before. It was healthy two seasons ago, but last season, it was very sparsely foliated, and the leaves died and fell, very early in the season. 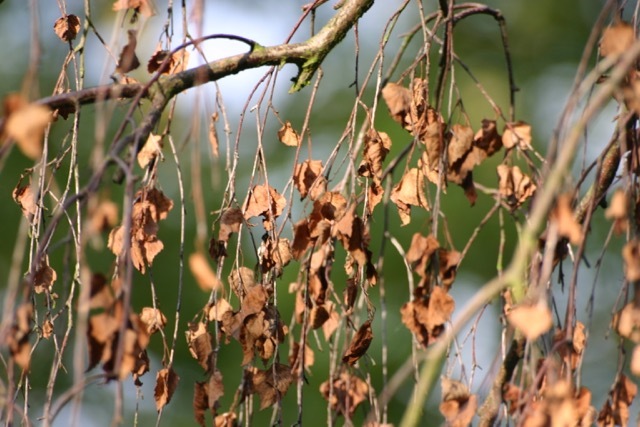 This season it had very few leaves again, and they all shrivelled and died after a couple of months. The tree is clearly dying, and shows no inward signs of life when small branches are snapped. It has been a lovely tree, elegantly casting dappled shade over the lawn, by the pond. It has remained small and well shaped, and those lovely weeping branches have meant that anyone walking by must walk through them. We have had picnics on tartan rugs underneath it, and hung lanterns from it to light our way up the garden. It has been part of our lives for twenty years or more. The local birds have loved it, as the two main branches have provided ideal perches from which to survey the world. Usually these perches are home to two wood pigeons , but for a couple of weeks they have lost their place to a humungous heron, which has looked slightly incongruous balanced up there. The heron has picked the pond clean of goldfish, which must have been easy pickings from that vantage point. I have been researching Honey Fungus, and I won't bore you with the details, but essentially there are several different types, some of which are scarier than others. However, the management methods seem to be similar for them all, so time will tell which type is lurking down the garden, if any. In essence, there is little to be done, other than the immediate removal of the afflicted tree and roots of possible. I assumed that the toadstools themselves were the carriers of the Honey Fungus spores, but it seems that they are mainly indicators of their presence. They should still be gathered up and preferably burned. There are those who advocate stump grinding but opinions are divided, and the majority seem to suggest that it makes no real difference. 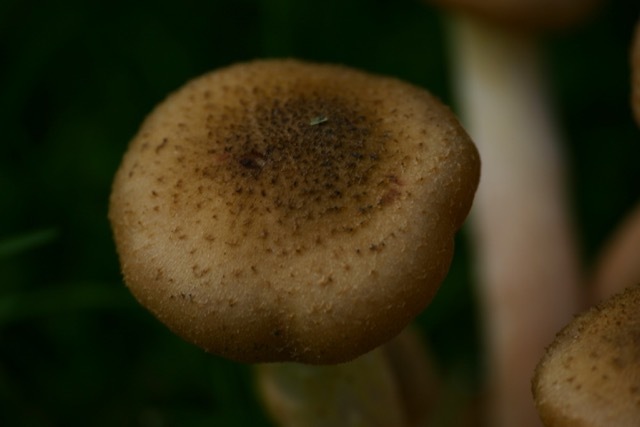 Honey Fungus affects trees and shrubs when they are stressed, and if healthy , they are capable of shrugging off the spores, but if stressed by disease or extremes of weather, they may succumb. 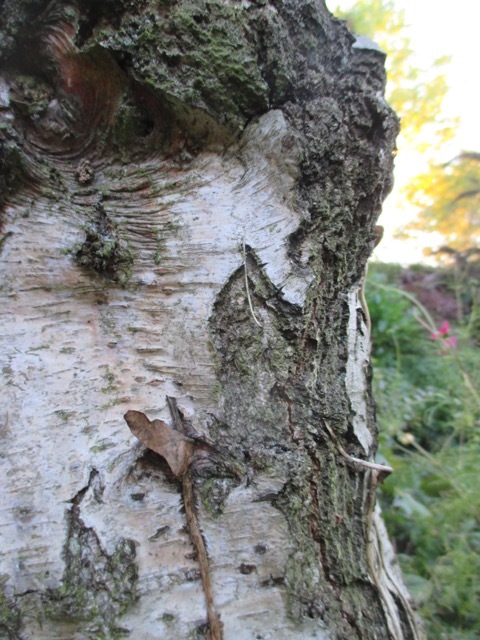 I am unsure whether our birch has Honey Fungus or not, as the real diagnosis lies in the thin white sheath, (Mycelium), which lies under the bark, and the 'bootlaces' (Rhizomorphs) around the roots. As we do not know yet what lies beneath, it is impossible to say with any certainty if we have Honey Fungus, or something much more benevolent. I welcome advice from any wise gardeners out there who have advice to share. I have tried to match my photos with various Google images, but it is fairly inconclusive. My feeling is that we proceed as if we have it, to be on the safe side. It will be a sadness to see it go, but it is clearly beyond saving. If we get a positive diagnosis, then we just have to hope that it will not spread to anything else in the garden, and I guess all we can do is to try to keep everything as healthy as we can, and to minimise stress in whatever way we can. Hi Jane, I'm so sorry you're losing that beautiful Birch tree! I have never heard of Honey Fungus. Will have to research to see if it grows here. It's amazing that any plants thrive with all the enemies! 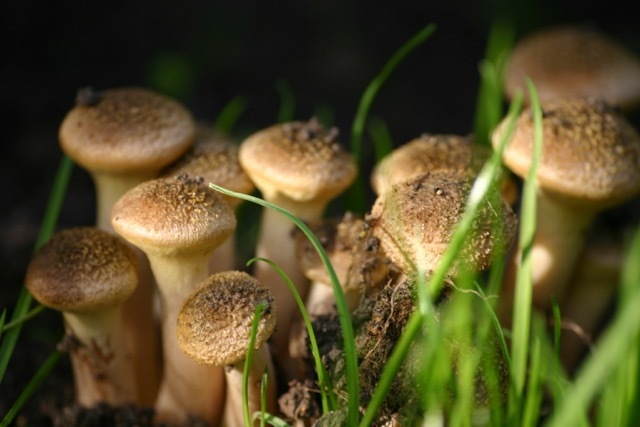 Wishing you a Honey Fungus free garden! Thank you, I hope I am being over cautious! It's sad to lose such a key tree but I hope that it isn't honey fungus. Thanks Sue, I will just have to wait until after it is felled and examine the roots and have a peep under the bark for those tell tale signs. Hi Amy, I didn't know that birch are short lived and always assumed that they were as long-lived as our other native trees here in the uk. Here, it is the sapsuckers who attack the birches. Ours all have chicken wire cages around them, which detracts from the lovely grove we've been aiming for. So sorry you're losing your tree. Hi Ricki, I don't like the sound of sapsuckers one little bit! I hope your chicken wire cages are effective at stopping them. Hmmmmmmmmm. I have never heard of this. I hope to never become familiar with it. Good luck with taking your tree out to control it. Hi Lisa , I hope you never have to become familiar with Honey Fungus too, as the results can be devastating. Hi and thanks for comments. 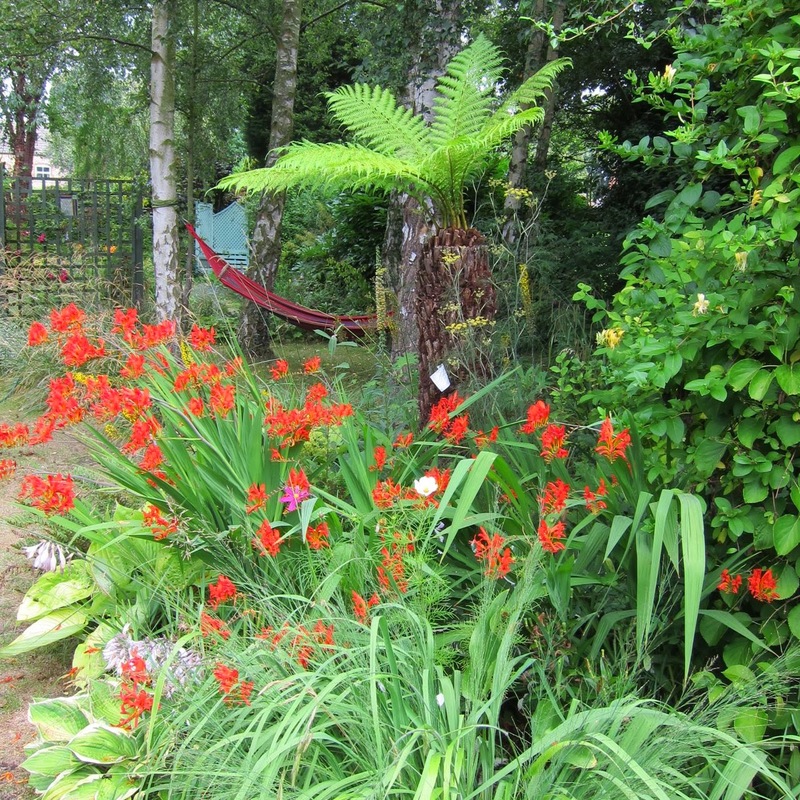 I agree that surrounding trees, shrubs and plants would benefit from being kept in the best possible condition. Hello Jane, one of the worst infections to come into our gardens has to be honey fungus, I hope you haven't got it! I did read that the previous head gardener at Highgrove thought that the application of mushroom compost to the infected area could help with its control. I pass it on to you, I don't know if it is a proven fact but I don't think it would not do any harm to apply some to the area once the tree has been felled. Good luck. Oh dear Brian, sorry you have had to do battle with the dreaded Honey Fungus to such an extent. How did you try to eradicate it ? Did you lose much? I will remember the advice about mushroom compost - it is well worth trying, and can only do some good! 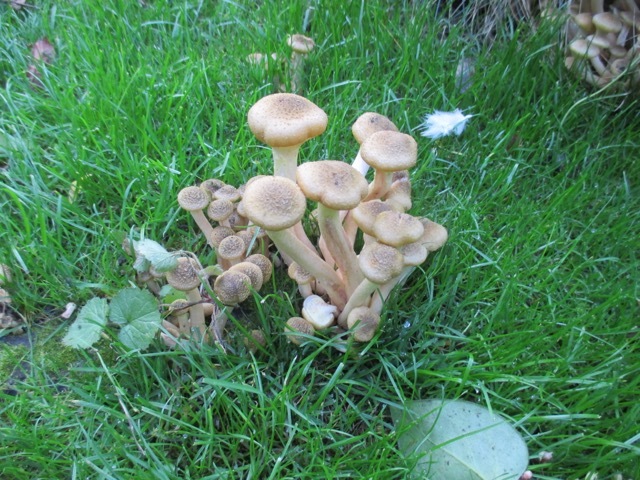 Hi Jane, good post and comments at http://www.nodiggardener.co.uk/2013/11/i-have-honey-fungus-in-my-garden-and-am.html if you have not already seen it. Oh, sorry to hear it. Fungi are fascinating, but they can also portend bad health, and as you describe, even finish off a weak/sick plant/tree. Two years ago, I found a huge "Chicken of the Woods" mushroom at the base of one of our Oak trees. I haven't seen it in the two years since, so hopefully the tree has recovered. I hope your tree will be OK, too!! What a fantastic name for a fungi !! I will have to google it to see what it looks like... hope it never returns to your tree!! I am sorry that you are losing your tree - especially as it holds so many memories. One of the most worrying aspects about nurturing anything is when something goes wrong and there is little or nothing we can do to stop or control it. Roger Brook's post on the subject gives some perspective, but honey fungus is destructive, so fingers crossed it is not the cause of the demise of your tree. Thanks for the heads up about the Roger Brook's post, Sarah, I will take a look! Thanks Janet, it is a special tree... and what will the heron perch on now ? I'm so aware of ups and downs as we share our longterm garden journeys. What a sad and challenging time. I had no idea about the fungi. 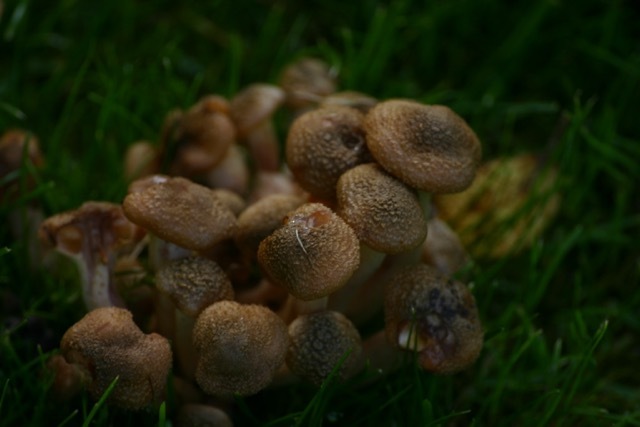 Good luck and hopefully you don't have honey fungus in your garden. Thanks for your comments Sue. Fingers crossed! Seeing a tree die is a sad affair. I've never heard of honey fungus. Will it affect whatever else you plant there? Hi Tammy, yes it can affect other trees shrubs and also some perennials I believe. Some things are more prone to it than others and healthy stuff is not usually affected. Jane, I have the dreaded honey fungus too. Part of my garden was an ancient orchard and many of the fruit trees have succumbed. The fungus loves members of the rosaceae family. 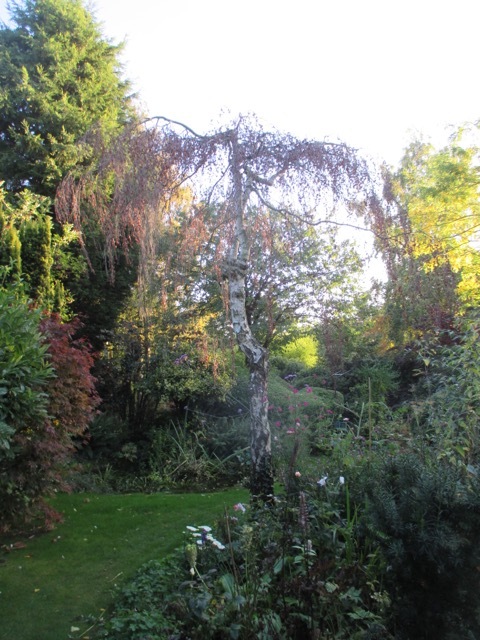 I have a grove of birches at the bottom of the garden which has been reduced from 11 to 7 trees. There is not much I can do, because it can travel over a huge area. I get the toadstools coming up in the lawn too, feeding off old roots, I suppose. But on a happier note, it only seems to attack older, perhaps already sickly plants. So far, nothing I have planted in the 5 years I have been here has died. If plants are well fed and watered and not allowed to be stressed they seem to have some resistance. If you think about it, the fungus must be endemic in every wood, it is nature' s way of getting rid of rotting timber. You don' t see whole woods disappearing.So if you have honey fungus, it is a nuisance, specially when it kills valued old trees, but not the end of the world. Thank you for your reassuring words, Chloris, I find them very comforting. That is a different mindset which makes it all seem much less drastic, and more of part of the general eco system. I seem to remember reading on the RHS page about this and they have lists of trees/shrubs that are resistant. It might be worth checking out which plants they suggest. There is also a site http://www.ispotnature.org/communities/uk-and-ireland where you can post pictures for help with ID Jane. There seems to be some very knowledgable members there. They might help in identifying the toadstools that have appeared. Good luck with it all Jane. Erysi - mums the word!